Hillary Clinton’s lead in the race for the Democratic nomination has fallen to just 10 points, and at the same time, her advantage in hypothetical general election matchups against the top Republican contenders has vanished, a new CNN/ORC poll has found. 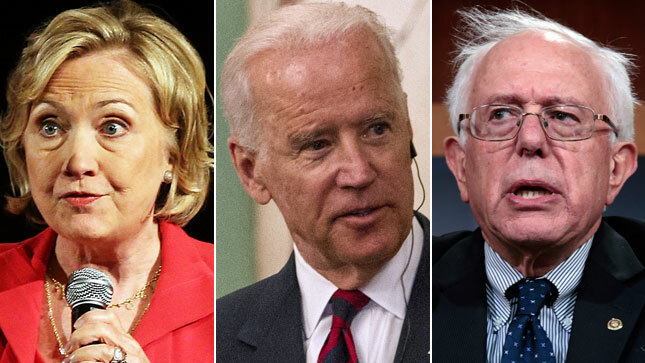 The new poll finds Clinton with 37% support among Democratic and Democratic-leaning voters, down 10 points since August, followed by Vermont Sen. Bernie Sanders at 27% and Vice President Joe Biden at 20%. Considering the historic volatility in polls prior to primary election , this remaining lead in the national polls could be erased quite quickly. If Sanders should win in Iowa and New Hampshire, where he currently leads, there is an excellent chance that he could increase his support nationally by well over ten percent. In the general election matchups, Clinton trails former neurosurgeon Ben Carson by a significant margin (51% Carson to 46% Clinton among registered voters) while running about evenly with both former Florida Gov. Jeb Bush (49% Bush to 47% Clinton) and businessman Donald Trump (48% back each). Joe Biden is doing better against Republicans than Clinton, which might influence his decision as to whether he will run. While he currently sounds quite undecided about running, there is activity in progress which looks like the organization of a presidential campaign. Clinton’s fade in the Democratic race comes as an ideological divide within the party grows into a chasm. In August, Clinton held support from 43% of moderates and 46% of liberals. In the new poll, her support among moderates holds at 47%, while among liberals, it has plummeted to just 23%. Sanders has increased his share of the liberal vote (from 42% to 49%), while falling 9 points among moderates (from 24% to 15%). Meanwhile, Biden has gained ground in both groups. And enthusiasm for Clinton among liberals has fallen nearly 40 points. Just 29% of liberal Democrats say they would be enthusiastic if she were the party’s nominee, down from 68% in an April poll. Clinton’s decrease in support among liberals comes as she is finally admitting to being a centrist, as opposed to putting on an unconvincing act of being a progressive earlier in her campaign. This might be to appear more electable than Bernie Sanders, but ignores the problem of Democratic-leaning voters being less motivated to get out to vote when Democrats run as Republican-lite.